You know the feeling you get when you realize that your keys are locked in your car. If you’ve been in this situation before, you probably thought that the only thing that the auto locksmith could do was merely unlock your car for you. 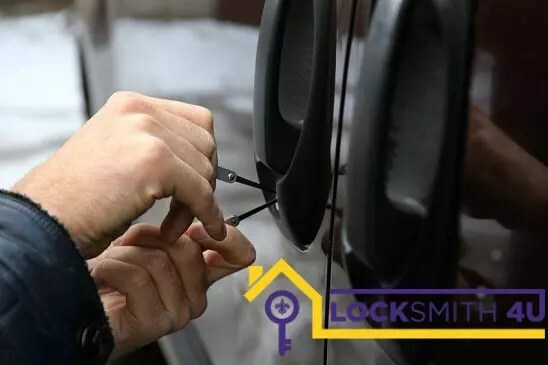 But an experienced auto locksmith from Locksmith-4-U specializes in providing top-notch vehicle security, including programming key fobs and reproducing new keys. The first person you should call when you are having trouble with your cars key or lock, is us, at Locksmith-4-U. Say you just arrived home late at night and realized that the doors to your car won’t lock. Are there auto locksmiths that provide 24/7 services? That would be convenient, especially if you want to get some sleep before getting on with tomorrow. Locksmith-4-U offers quality services with a fast response rate whenever you need us. Being a locksmith is a specialized profession, but prices should be reasonable. At Locksmith-4-U we offer prices that will allow you to keep some money in your pocket without jeopardizing the quality of service or skills our locksmiths provide. When it comes to saving money, time is always a factor, because time is money. It doesn’t matter whether you need your car lock to be repaired or changed. Locksmith-4-U will be able to fit in with your schedule. Our auto locksmiths arrive on time, equipped with the necessary tools to get to work. This cuts down the auto repair time and ensures that you are back on the road quickly. Do we have what is needed? It doesn’t matter whether you are driving the latest model on the market or a 10-year-old battler. A Locksmith-4-U auto locksmith will always be able to provide the right parts for your lock.